It's a story we all know and love, a Dahl classic 'Charlie and the Chocolate Factory'. 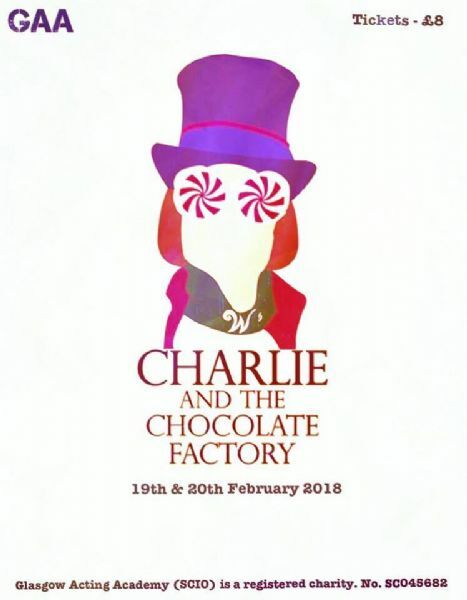 Bring along your Golden Ticket and join Charlie on his adventure on the 19th and 20th February 2018. Tickets are on sale now. Call 0141 237 7140 or email info@glasgowactingacademy.org for more information. 'Kojo is 14 but no one believes him; he's just one of the unaccompanied minors arriving in London, abandoned on the streets of the UK. Ara's from Baghdad and still hears the bombs at night. Cheung can do back flips and is from a village in China that is more than a thousand years old. Orphans in London, they are the only family they have now. Together they tell Kojo's story: a story of lost childhood, tall trees and a murder in motion; a murder by a child that everyone says is a man.' The heartbreaking story of Fugee is more relevant in today's society than ever. Our senior students have worked incredibly hard to bring this meaningful story to life. 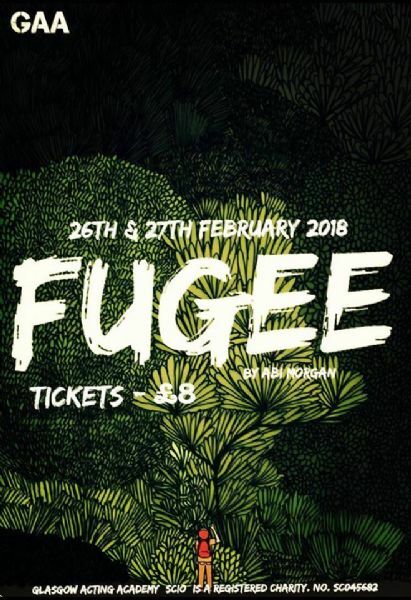 Tickets are on sale now for Monday 26th and Tuesday 27th February 2018. We are delighted to announce that Glasgow Acting Academy will be performing The Addams Family in June 2018. Everyone's favourite spooky family has taken Broadway by storm and is now coming to the GAA stage. Auditions for this smash hit musical will be held on Wednesday 10th January 2018 from 5pm-8pm. 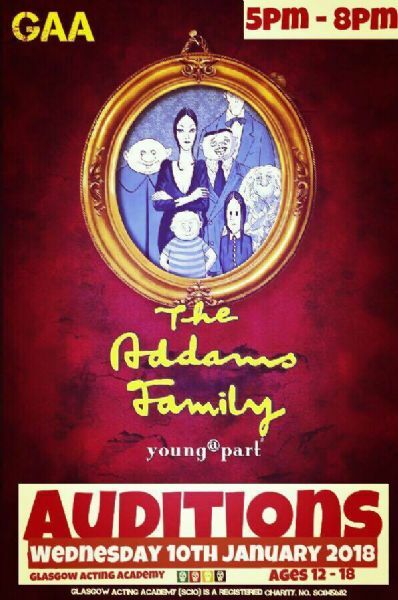 This is an open audition for 12-18 year olds. If you would to book in for the audition or have any other questions, please email info@glasgowactingacademy.org or call 0141 237 7140.